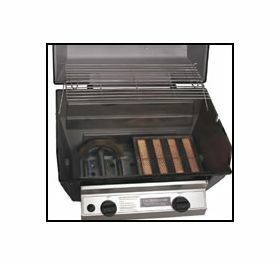 With its two burner styles, 3-level adjustable cooking grids and multi-position lid stop, the R3B Grill combines the latest infrared grilling technology along with conventional gas grilling under one hood. The result is exceptional cooking versatility. Sear steaks over the infrared burner while you grill vegetables over the stainless steel tube burner. The single infrared burner generates up to 1,600 degrees F at the surface to instantly vaporize drippings and uses infrared heat to cook foods to perfection. Both burners operate independently for precise control across a broad temperature range. 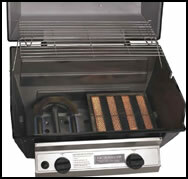 Stainless steel components include multi-level cooking grids, Retract-A-Rack, adjustable lid stop, and control panel.